Since you are familiar with the Boerejongens coffeeshop concept, you have shown that you know where to get quality cannabis. So what did you get last time you were feasting your eyes on our exquisite menu? Was it a baggy of top class weed, freshly picked and full of flavour? Or did you go for one of our superb and world-famous (Block)hash variants? Maybe you got some of both, but whatever your choice was, do you know the main differences between the brown and the green? Maybe you’re not a smoker and are you willing to get well-informed by the cannabis connoisseurs of Amsterdam? Let’s go over the basics together, so you’ll have a bit more information next time you give our mouth-watering menu display a go! So what are the main differences between hash and weed? Let’s start out with the most obvious thing they have in common: they both come from the same cannabis plants. As you probably know, weed is the flower bud of the female cannabis plant. Hash is made of these same flower buds, but it is processed in a different way. 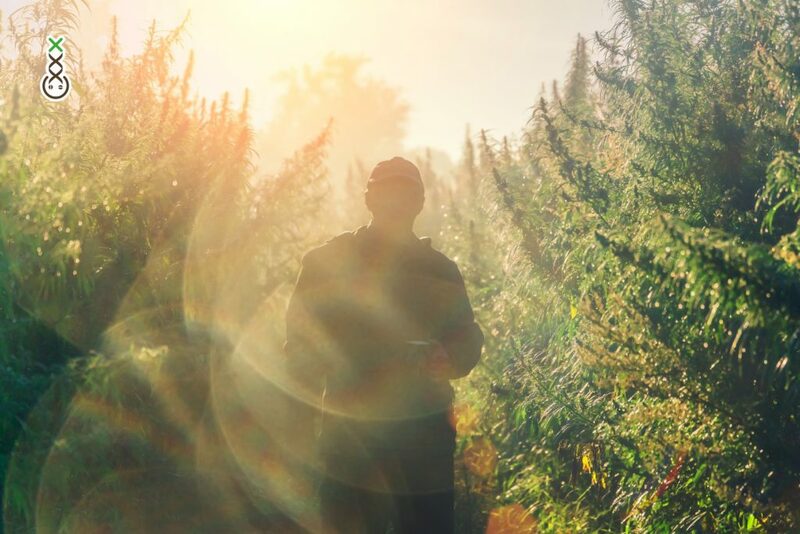 After a cannabis plant is in full bloom, the flower buds are harvested, and from that point on, a farmer can go one of two ways. In the case of weed, the flowers are hung up to dry. Once they have dried out completely, any seeds, stems, and excess leaves are removed, The resulting product is the weed that we all know so well: nice green bundles of organic joy, preferable glistening with sweet THC crystals. The basic material used to produce hash is the resin contained in the tiny glistening glands found on the flower buds. After the cannabis flowers have been harvested and dried, the little glistening crystals, which are actually called trichomes, are separated from the rest of the plant. The sticky powder collected is known under various names throughout the world, but the usual name is ‘pollen’. This is done differently in different parts of the world. Some cultures rub the raw flowers carefully by hand (Indian), which results in a sticky dark brown goo sticking to the fingers of whoever did the rubbing. Rolling raw marijuana between the fingers is another ancient technique, sometimes with a bit of water, which results in super sticky, dark hash balls. Other cultures, like the Moroccan Hash we sell, use sieves to sift the trichomes out from the dried plant material. This can be done in repeated steps using ever more pressure. These pressings can be repeated using ever finer sieves, resulting in the highest quality hash (Block Hash). Today, new and modern approaches are used in addition to traditional ones. These include separating the trichomes using ice water, electrolysis, or even acoustic sifting. The result, however, is roughly the same regardless of the technique involved: a solid substance, ranging in colour from yellow through brown to almost pitch black. This is known as hashish, or hash. One of the most striking differences you’ll notice between smoking hash or weed is the difference in taste between the two. Of course, there are so many different kinds of both weed and hash that flavours will be different every time you smoke, but once you’ve tasted hash as well as weed, you will know the difference whenever you smell a whiff of either. Apart from their taste, however, hash differs from weed in a number of other ways, too. For one, hash is less common than weed in most countries. Many smokers are pretty familiar with their green herb of choice, while they have never actually smoked hash in their lives. Generally speaking, their effects on the mind are different, too. Do keep in mind that there are huge differences between the effects of specific weed variants as such, and such differences exist between hash variants as well. Roughly speaking, however, traditional hash will bring a more subtle high than weed does, this is due to the CBD level. The heavy stoner buzz that is usually associated with weed is usually absent when smoking hash. The latter will likely give you a milder high, with less of a body buzz to go along with it. This causes some people to prefer hash over weed; especially when they need to get things done rather than just vegging out on the couch. 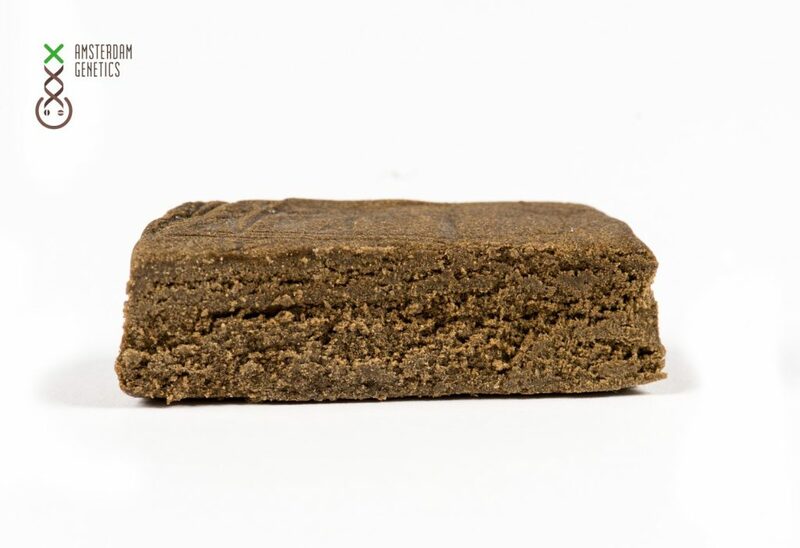 Hash also contains greater concentrations of THC per unit of weight, again, generally speaking. This is due to the production process, in which parts of the plant that are low in THC content are removed from the trichomes. Again, though, do keep in mind that the quality of your weed or hash will probably make a greater difference than your choice of hash or weed as such.